Cancers, along with cardiovascular diseases, respiratory diseases, and diabetes, are four non-communicable diseases (NCDs) that are responsible for 80 percent of all deaths from NCDs worldwide. The good news is that global research finds that about a third of the most common cancers can be avoided through diet, sustaining a healthy weight, and working out on a regular basis. 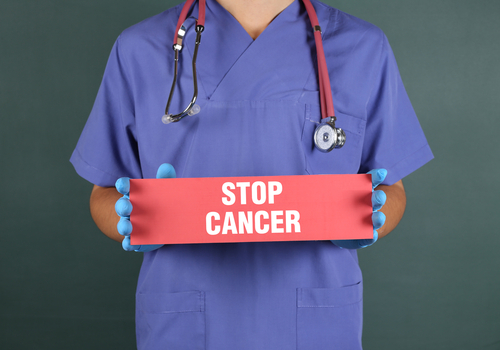 Here are 10 ways you can do right now to prevent cancer from plaguing your health, happiness, and life in general. Cardio exercises and weight training effectively help control inflammation and hormone levels. They also maintain the strength of your immune system so that it’s protected enough to fight off unruly cells. Several studies suggest that people who exercise are less likely to develop the disease compared with the ones who have sedentary lifestyles. Full spectrum hemp oil has been shown to reduce pain, fight anxiety and stress, and relax your nervous system, making you feel so much better. In addition, it may be able to fight off any cancer cells that are in your body. It’s definitely worth looking into as a daily supplement. Oil that’s exposed to high temperatures forms carcinogenic compounds in food. Guest what? That’s how fried foods come into being. So, if you’re concern for your overall well-being, minimize consumption of anything fried, or just skip it entirely if you’re feeling more preventive. Studies show that pomegranate juice can hamper the development of lung cancer. Previous studies also show it impedes prostate cancer in mice and normalizes PSA levels in men who have been cured of the said cancer. 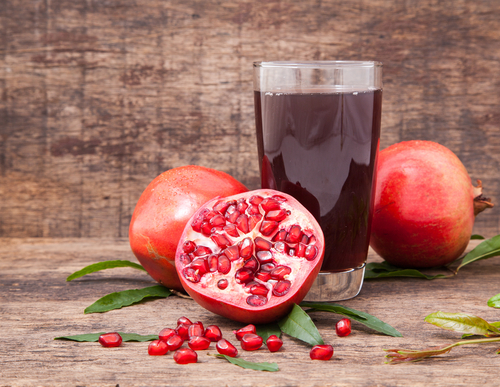 With these benefits, it’s encouraging enough to sip about 16 oz of pomegranate juice each day. It is filled with polyphenols, isoflavones, and ellagic acid that may collaborate to fight off cancer. If you’re qualified to get a screening for a type of cancer, you should take the opportunity to do so. 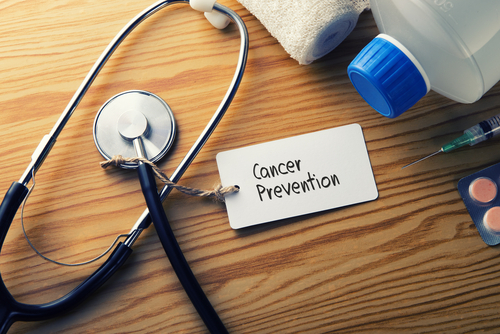 As a matter of fact, it’s reported that 60% of deaths from colon cancer could be prevented if everyone over the age of 50 gets screened for the said illness on a regular basis. This is according to the Center for Disease Control and Prevention. Blueberries are loaded with a compound called pterostilbene. This compound has been found to significantly reduce precancerous lesions in the stomach that, when left overlooked, could lead to colon cancer. So, surely a cup and half of blueberries won’t hurt. It’ll even save your life. Eating them isn’t boring since you can mix them in your cereal or smoothie. Of course, you can munch on them fresh, too. Those who eat lots of fiber-rich foods had a 19 percent reduction in kidney cancer risk compared with those who rarely consume fiber. According to a study found in the Clinical Nutrition journal, fiber has the capacity to obstruct toxins that can cause cancer from roving from your intestines to your kidneys. People who suffer from sleep apnea (snoring is the main symptom) are nearly five times more probable to die of cancer compared with those who sleep more quietly. Sleep apnea results in the oxygen levels in the blood dropping. This can lead tiny, already-present tumors to develop new blood vessels, which give them fuel to develop quicker and spread through your bloodstream more swiftly. It is reported that more than 92,000 cases of cancer per year can be attributed to sitting for many hours. This is according to the American Institute for Cancer Research. Those who exercise may think they’re safe, but they’re still not if they’re sitting too much. You can lessen the risk by setting your phone alarm to remind you to stand even for just 1-2 minutes every hour. It’ll aid in the reduction of molecules in the body that are associated with cancer risk. Individuals who complemented their diets with 1,000 IU of vitamin D per day reduced their cancer risk by 77 percent in the span of four years compared with the ones who only took a placebo, according to a study. Apart from basking in the sunshine for Vitamin D, you can also get this from food sources, such as salmon and sardines. We all know nuts to be healthy snacks. We even ought to be snacking on nuts instead of chips when watching television. For example, Brazil nuts are known for their selenium, which can help make your healthier. A research at Harvard determined that eating three Brazil nuts daily is linked to a 48% lower instance of advanced prostate cancer.